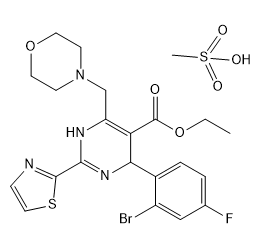 Telbivudine is a Hepatitis B Virus Nucleoside Analog Reverse Transcriptase Inhibitor. The mechanism of action of telbivudine is as a Nucleoside Reverse Transcriptase Inhibitor. The chemical classification of telbivudine is Nucleoside Analog. Bifendate is an anti-HBV agent, attenuating hepatic steatosis in cholesterol/bile salt- and high-fat diet-induced hypercholesterolemia in mice. 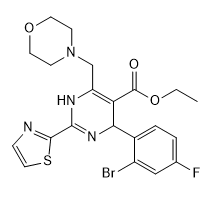 Adefovir, also known as PMEA and GS-0393, is a DNA polymerase inhibitor potentially for the treatment of HBV infection. Adefovir is a DNA polymerase inhibitor potentially for the treatment of HBV infection.